Jeep CEO Michael Manley owns one coveted four-wheeler. 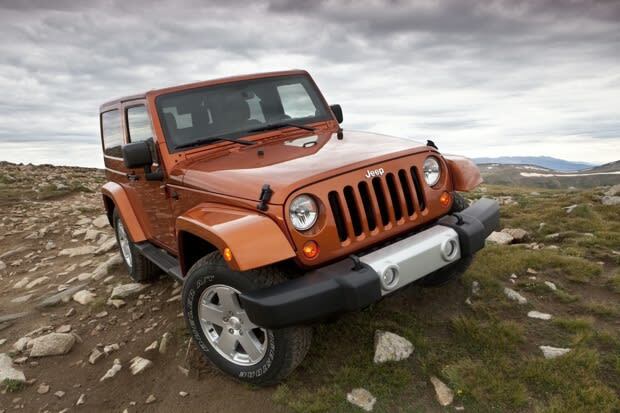 The executive recently tapped Montana-based American Expedition Vehicles, a Jeep aftermarket tuner, to wedge a Chrysler 392 Hemi under the hood of his Wrangler. For those not already drooling, that&apos;s the same V8 that powers the 470 horsepower Challenger SRT8. But wait, it gets even better. Sources with close ties to Chrysler say Manley&apos;s Wrangler wasn&apos;t just built to be a big-boy toy. It was constructed for "executive evaluation", which is business jargon for "We might actually consider selling these." Boasting the full 470 horses, Manley&apos;s Wrangler is reportedly able to slide out its rear end in third gear like it&apos;s no thing. After a mental image like that, we say quit the mumbo jumbo and make it happen, Jeep!